4/21st Health Fair in Bellevue. Hello! This is Junko here. I decided to join to Health Fair in Bellevue at Bellevue Hilton Hotel on 4/21st. If you know someone who maybe interested in my Reflexology session, share this opportunity. As you may know there are Yelp reviews on my Yelp page. Thank you very much for those great reviews. I would like to share this great feeling to more people in Seattle and East side people. Plus, it is my birthday today. I am still 40s. I had myself have an experience for facial treatment by Alla. She is a new member in the office where I work. She has long career for over 25 years. She does not use any machine,and formally a massage therapist. It was very relaxing experience, and my face turned brighter. Clogged pores turned cleaner. Since I don’t wear any make-up on my face except. I felt more comfortable to be myself. Reflexology is not body massage. Recently, many people called me if I do body massage. The answer is no. My practice is called Reflexology. 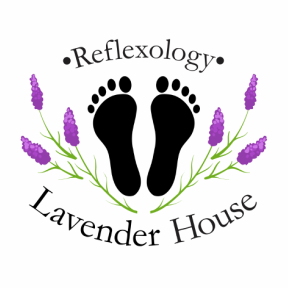 Reflexology is for feet (leg), hands (arm) and ear. It is not known as a part of medical practice yet, but many people try Reflexology. It is great deep relaxation. You will be tuned by having reflexology session. I recommend you to receive it every week for first four session, and after that every once a month will be great. All my family have been well so that we are all active to do sport. How are you? My family has been eating vegetable extract every day for over 8 month now. I am not much interested in coming vegetable at home so that taking them is really great. I actually love eating vegetable too,but not every day. If you are interested in what it is, ask me. It has been saving my money for MD care. I recently joined life insurance, the health check result says I am healthy so that I could apply the lowest rate. Yes! I love playing tennis,running,walking.. I used to have leg pain,but not any more do that do happy to be able to run. Most my clients loves natural healings. Yesterday one client brought me a Yoga balm. I mostly use aroma oil for deep breathing during each session,but I introduced Yoga balm. I was not sure how it works. I forgot to ask them. They were sleeping well. I hope the quality of the relaxation time with Yoga balm went greater. Since we all work hard without doing deep breathing, we do all breath, but not really deep. It is shallow normally, and our heart rhythm mostly goes faster that cause stress. Both tennis and Reflexology help me breath deeper. Also Yoga balm helped me breath well. I will share it with you if you would like to use it. I had reflexology session for myself by Elena. I thought I should not go to her place since I had fever,but I did because I needed a quick recovery. I usually feel great feeling, but my joint pain from fever bothered me to stay irritated during session. As a result, I slept great last night. Fever has gone. I am really believing great quality of sleep is important to heal by itself. I am so glad my son is interested in playing tennis. He has been doing it since he was 3 yo. My husband loves tennis, so that it was very natural to start learning tennis. For now, he does serves and back hands much better than before. I do love doing sport so that I can not wait to hit balls harder with him. My husband play tennis 5 days a week. I don’t do 5 days a week, but I support his physical condition every day as his wife. If he can not play tennis, it is like cutting his legs sadly. Health condition is really important. Body sore affect his mental condition as well. I am happy to see anyone who are happy to do whatever they like to do. My son usually wants to play video game, but always happy after playing tennis and learned something new about his tennis skills. So that I need to support his feet as well.